"We contacted Lori after living in Oregon for 9 years. 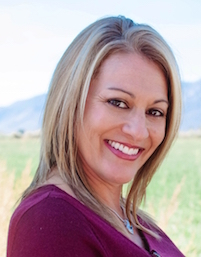 She had assisted us in buying and selling 2 homes in the Gardnerville area prior to that. Lori is not only an associate, we consider her a friend and she is professional and extremely confident in the real estate business. We wouldn't have gone to anyone else while looking for a home and as we expected she exceeding our expectation in the experience!! Thanks again Lori!" "Our out of state purchase of a home just couldn't have been smoother. We quickly found our house, and Lori negotiated an excellent price, less than what we thought we'd have to pay. Her knowledge of potential problems as well as positives was helpful, and the way she laid out options without pushing—allowing us to make our own choices—made us feel respected and well-advised. Handling the process long-distance was a snap, and Lori was readily available. We appreciated that she has been living and working in the area for many years, and her local connections have been a big help to us; she's suggested contractors and other professionals who have worked out well." To read more testimonials, please visit my Zillow page.